What Is Tactile Sound? A few years ago it was a little cheap chunk of metal that you stuck on the wall or any other surface that would create sound. These small gadgets still exists, but allthough the technology is the same, a "real" tactile transducer is for the sub octaves and it is powerfull - very powerfull! 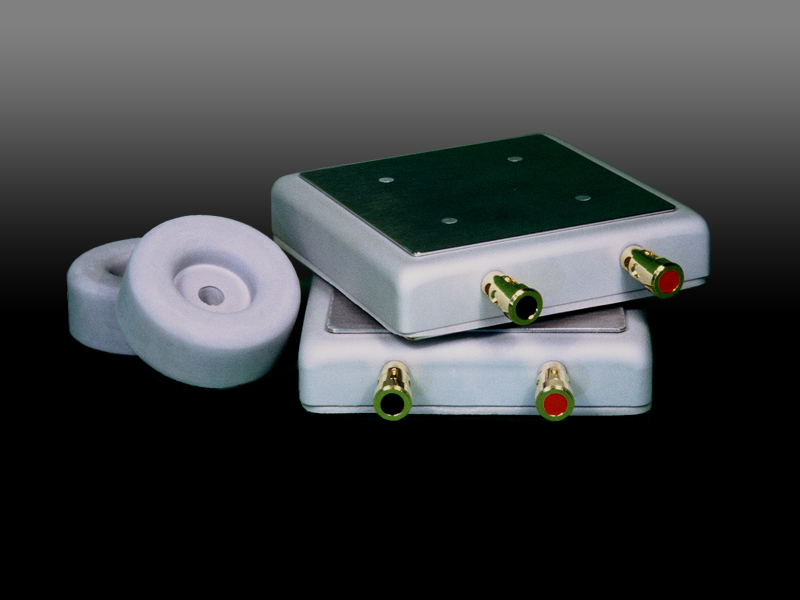 With a natural working range of 5-200Hz a true tactile transducer is designed primarily to move structure, not air, and to provide a much more direct method of sound perception. In other words: Tactile sound is the sound you feel in your body - vibrations from explosions, earthquakes, trains, planes and similar powefull sound effects . 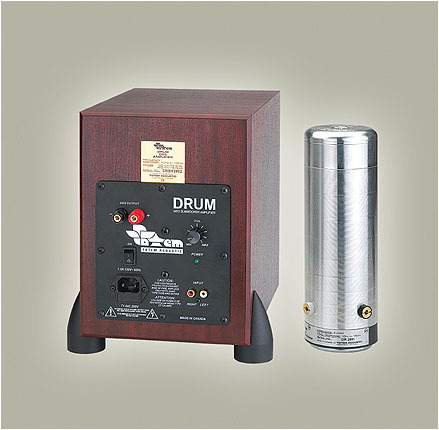 Unlike other similar systems that only work on one or two frequencies, the TOTEM DRUM works much like a conventional subwoofer in the sense that it emits a large range of frequencies from 150Hz down to 10Hz. This large frequency range translates to precise detailing and a "realistic" feel that is not produced by any other system. amazing detail at blinding speed. · Aluminium Cooling System, 10" x 3"
This newcomer has something quite interesting and different. "Instead of suspending a mass (piston) like "shakers" on the market, Crowson Tech pre-load a spring system with the weight of the couch and customer, and use the mass of the earth below to push against. 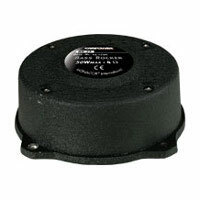 Instead of an inertial shaker we use an electromagnetic linear actuator. This is a more efficient use of energy and the spring system design prevents any "bottoming out" which is experienced in many other products. Powered by 500 watts, the TES 100 is capable of roughly 3 times the lbf of the closest competitor at frequencies under 10hz! 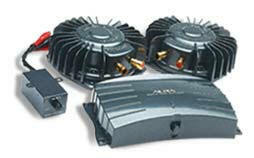 For more conventional users, even 50 watts RMS is sufficient for significant effect." The new ButtKicker® 2 Shaker is Guitammer's latest and greatest version of the ButtKicker®. 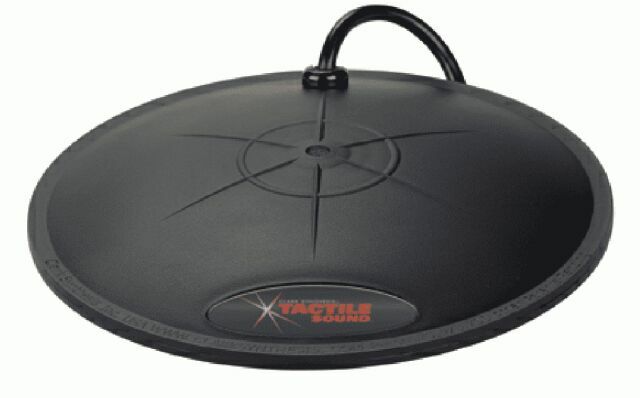 It is smaller, more responsive, more efficient, more powerful and even more affordable than the original ButtKicker®. Used by Disney and Guiness World Record. Since its introduction in late '99, ButtKicker™Shakers have been sold in over 26 countries around the world. Compared to the above "big ones" this is just a toy. Anyway it is a lot cheaper (approx. 80 US dollar) and it works OK. Monacor describes their BR-25 as a "Bass Rocker" designed to be used in a car. I have no car, and therefore mounted 2 of them under my big sofa. They are connected in series (each 4 ohm) and driven by a 200 Watt amp with the 0.1 signal from my Proceed AVP. The result is overwhelming. I can only imagine what the bigger ones can do any better. The Pearl Harbour attack is a physical experience! Unprepared guests are shocked and thinks it all comes from my modest sub. A big advantage is that the shaking and rumbling is limited to the sofa. Nothing is heard when standing up and thus this is a really neighbour friendly "speaker". Anyway I still use my 15" sub-woofer - the BR-25's do not substitute a good sub. This British-designed innovation is about the size of a computer mouse and turns any hard surface into a speaker! Plug it into your music device, stick the sucker to a door, window or desk, hit play and your surface of choice starts singing back at you! The main component of the Soundbug is a tiny piece of a material called Terfenol-D, which was originally used by the US Navy for sonar work. The Terfenol is placed within an aluminium case and a coil wrapped round it. When electricity is passed through the coil the Terfenol expands slightly creating a massive force of 400 pounds (PLEASE NOTE - IT DOES NO DAMAGE TO THE SURFACE ITS ATTACHED TO)– when its attached to a flat surface it transmits electronic signals into mechanical energy causing the flat surface to vibrate and broadcasts the sound. 75-db output (depending on surface). Dimensions – 95,mL x 50mmW x 35mmD. Weighs just 180 grammes (including batteries).